Mr. Belyanin is a member of the College of Registered Psychotherapists of Ontario (CRPO) and a certified member of Ontario Association of Consultants, Counsellors, Psychometrists and Psychotherapists (OACCPP). Valery has a PhD in Psycholinguistics (from Russian Academy of Sciences) and a PhD in Psychology of Personality (from Southern Federal University in Russia). He has worked as a university professor in seven countries. He has over 10 years of psychotherapy experience working with adults who suffer from depression, anxiety and different mental health issues. He also works with couples helping them to re-establish a healthy relationship. Valery’s patient approach fosters self-understanding, insight into unrecognized strengths and contributes to a broadening of perspective and more multidimensional thinking. He uses a variety of methods, including Cognitive Behavioural Therapy, Narrative Therapy, Neuro-Linguistic Programming and Positive Psychotherapy. 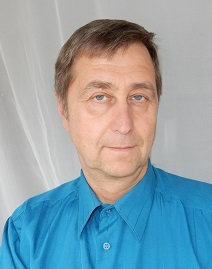 Valery is the author of eight books and more than 100 articles on psycholinguistics and psychology.